Click here for holiday savings!! 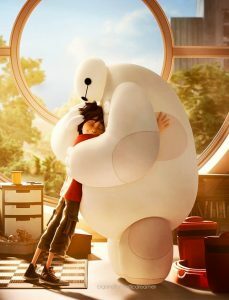 Imagine having a personal inflatable healthcare robot with a database of your medical details, like Baymax from Disney’s “Big Hero 6.” As of now, that possibility lies within the creative minds at Walt Disney Pictures, but hopefully it will eventually become a reality. While we wait for that technology to evolve, we are fortunate to have a company like GreatCall, which offers sophisticated yet accessible mobile and urgent response devices that assist and give peace of mind to caregivers and the people for whom they care. I’ll use my own experience to illustrate what I consider to be the power of GreatCall’s products. I was the primary caregiver for my dad, who was in his eighties and living alone with cancer, and, at the same time, for my husband, Ben, who had ALS. One of my biggest fears was not being around for, or aware of, an emergency. We did have our routines for phoning and texting while I was at work, but there were the times I couldn’t reach them, and those were times I lived in panic. That’s where GreatCall would have eased our worries. One product with outstanding features is GreatCall’s Lively, an urgent response device that connects directly to a 5Star Agent for immediate assistance. Unique functions that grabbed my attention are fall detection and GPS location. Like many people, Ben did not want to admit that he needed help, though we both worried about falls. There was more than one instance where although unharmed, Ben had ended up on the floor or could not lift himself from a chair, and was waiting patiently for me to return home. With this device, I could have gone online or used my smartphone at any time to track Ben, and I would have been alerted to any falls, or an agent would have contacted me, either through the fall detection service or if Ben called for urgent care. That would have been a huge relief! When Ben finally did concede to the use of a medic alert system, it had to be connected to a land line, and the speaker was not always nearby, which posed problems particularly as the ALS increasingly affected his voice and speech. In comparison, the Lively does not need a land line connection, has a built-in two-way communication function, and it can be worn around the neck, on the wrist, or carried around on a keychain. It is accessible even to a person who is not tech-savvy, like my dad. The Lively Wearable version of this device can be worn on the wrist and includes a fitness tracker option that can be managed with a smartphone connection. 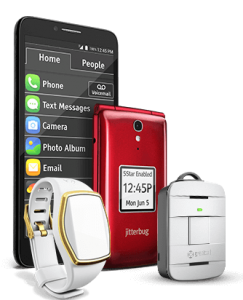 GreatCall also offers mobile phones- the Jitterbug Smart and the Jitterbug Flip– which offer the features and style you would want in a phone, but with helpful adaptations like voice typing, yes/no prompts for programming and larger screens and buttons. These features would have helped my dad, who rarely used his cell phone because he had trouble with the technology and the small buttons. ALS compromised Ben’s dexterity, so these phones would have helped him as well. The Jitterbug phones also come with the 5Star Medical Alert feature, an emergency button that connects immediately to a National Academy of Emergency Dispatchers agent. In addition to impressive products, I love that GreatCall considers and integrates the caregiver’s concerns into its products and services. Through a smartphone, tablet or computer, I could have used the caregiver’s app to check on Ben or my dad or known their locations via GPS technology (also invaluable to anyone caring for someone with Alzheimer’s Disease or any form of dementia). It is even possible to check the power level of the devices. This is a tremendous support system. All caregivers need that! There are no annual contracts or cancellation fees but the services you receive vary by the plan you choose. Options include 24/7 access to urgent care, a GreatCall link for family contact, a personal operator, daily Med-Coach tips (including prescription updates), daily Check-in calls, weekly wellness expert calls, brain games, and product replacement guarantees for stolen, lost, or broken items, fall detection and a fitness tracker. 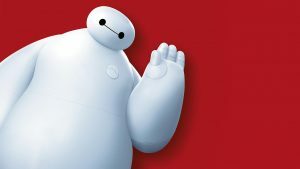 They may not be able as adorable as Baymax, but GreatCall products are high tech caregiving solutions designed to empower people to feel independent and engaged in life while assuring their caregivers of their safety. 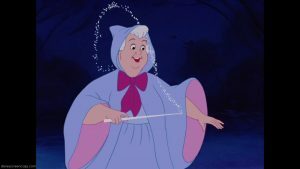 I call that a whole lot of pixie dust! For more information about Great Call’s products and services, click here. Click here for holiday savings!! In this clip from original Walt Disney Productions The Parent Trap, Sharon- actually, Susan- returns home from camp and is meeting her grandfather for the first time (he, of course, doesn’t realize this). She wants to remember everything about him, including the way he smells. This scene touches my heart each time I watch it (and when I watch the remake, too!). Memories do give me great comfort, despite the tears they bring. So many of my memories with Ben surround going to Disney films, Disney music, Disney stores and Walt Disney World. After he was diagnosed with ALS, our trips to Walt Disney World (WDW) really became about reliving and making memories that we could always hold in our hearts. Every experience and every opportunity to take a photo became that much more significant. Those memories are what I have now- bittersweet, and sometimes not happy, but it was life and love. As the ALS progressed, our trips to WDW became more complicated. By the time we took our last visit there, in July 2014, we were dealing with an additional caregiver, ambulettes to travel to and from the airport, assistance on the plane, an electric wheelchair, challenges with eating, and not being able to go on his favorites rides (The Haunted Mansion and Pirates of the Caribbean). Despite the challenges, Ben was determined to have an incredible time, and he did. I loved that about him. I was fixated on planning a trip that neither of us would ever forget, filled with all kinds of surprises for Ben. For example, we took the Pirates and Pals Fireworks cruise where we could see the Magic Kingdom fireworks and he got to meet Captain Hook. I knew Ben (and I) would miss being there for Halloween, our favorite holiday and our favorite time to be at WDW, so I worked with the fantastic Disney Floral and Gifts team to surprise him with our hotel room all decorated for Halloween. I remember his face when we arrived outside of our room and there was a big banner with a pumpkin and blinking lights that he thought was a promotion for Halloween and he got so excited. He was completely blown away when I opened the door and it was like entering the Haunted Mansion, which Ben adored. I took tons of pictures and videos for him to enjoy. We also kept all the toys and decorations to decorate our home on Halloween, and I brought them to his room in the hospital to share good memories and Halloween. I’m so grateful that we were able to relive memories and make new ones. Although I cannot deny that there are tears for the difficulties and ugliness that ALS brought, and for the times we won’t have anymore, I am so thankful to be able to remember him smiling and laughing and being my silly, romantic Ben. I also love the simple memories of that trip: Ben playing air guitar while the band played in the England pavilion at EPCOT, his trying on character hats and choosing t-shirts in the souvenir shops, our holding hands while I walked next to the electric wheelchair or as we watched the fireworks displays, his enjoying the freedom of getting around with the electric wheelchair. Though some people look at the pictures and see how he became very thin with very swollen feet, and that he was wheelchair-bound, I see and remember the joy on his face. It was too painful for me to decorate last Halloween- Ben had only passed away in August and it was too soon. I do love the photos, and I hope that one day I will want to decorate again and remember the way that we enjoyed it. Maybe this year. I’ll let you know. Make a memory. Make many. They might be hard to think about or look at in the beginning, but they will be there to embrace if you choose to.